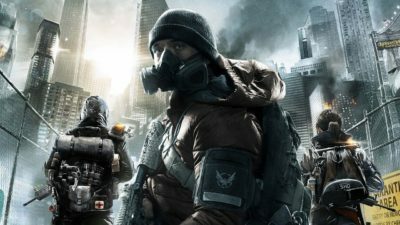 The new Tidal Basin content has dropped in The Division 2, adding Raid content, new Strongholds to tackle, and new exotic weapons to collect. 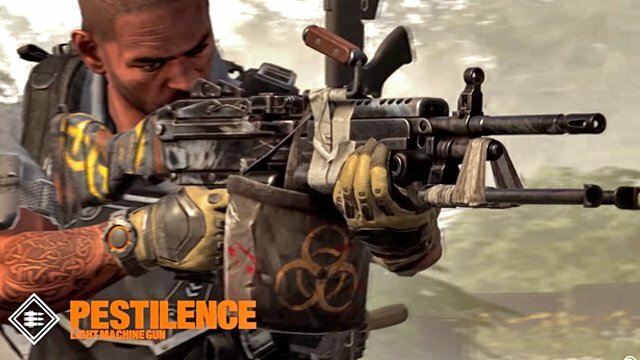 Here’s everything you need to know about how to get the Pestilence Exotic LMG in Division 2. The Pestilence Exotic LMG is dropping after you defeat a tough named boss (True Sons or Outcast) in the Normal Darkzone. As is the case with other loot in the Darkzone, it will be contaminated, so you’ll need to extract it before using it. As you can see from the image below, it’s pretty heavily modded weapon. Plague of the Outcasts – After hitting the same enemy 15 times in The Division 2, that enemy is inflicted with Plague of the Outcasts. Whenever an enemy with Plague of the Outcasts is killed, they leave a toxic cloud for 10 seconds that deals 400% weapon damage per second to anyone inside and inflicts them with Pestilence. Pestilence – A debuff that reduces healing received by enemies by 50% for 10s. Whenever an enemy with Pestilence would be downed, they are instead instantly killed. Outcast Resilience – While holstered, grants 20% bonus armor for 5s whenever you are affected by blind, bleed, or burning. As for its stats, its regular damage sits at a lowly 4000 damage per shot, according to Reddit user Nokami93. Its RPM is 550 and its magazine hold 100 rounds, as most LMGs do. Then, the reload time of Pestilence is five and a half seconds, and the Critical Strike Range is 10-50 meters. When normalized, that damage figure goes down to 1500. That’s everything you need to know about how to get the Pestilence Exotic LMG in Division 2. For more tips and tricks on the game, be sure to search for Twinfinite.